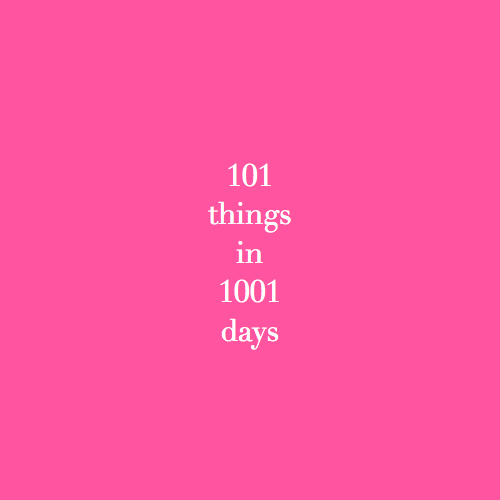 So as everyone can see I am doing the 101 in 1001 Days, basically you make a list of 101 things and you have 1001 days to complete them. I started my new list on December 27. 2017. So far there are a few in progress and I hope to finish most of the list this time around. I have 93 on my list so I just need 8 more and the list is complete. I have a few that I have been working on and I know they are going to take some time, but I had to get started on this one because I really want to improve my photography skills. My digital camera is on the fritz, and I am waiting on my new one, but for now I am going to be taking my photos with my cellphone, so hopefully they aren't to bad!! Here is the list, I won't be going in complete order, but I won't move onto the next list of 100 until I finish this one!